Even though I’m not that bothered by spiders, I still have nightmares about the cockroaches that plagued the crappy apartments I rented right out of school. So I can sympathize with the panicked woman who needed a spider killed and ordered takeout to get a willing participant. 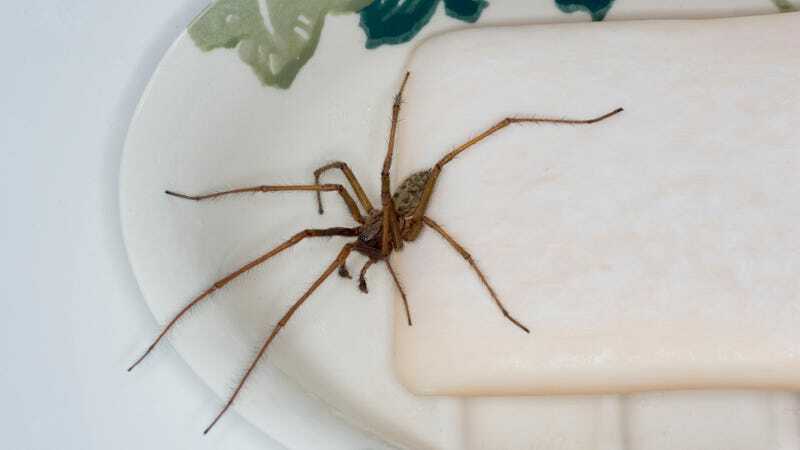 When Demi Sweeney of Bournemouth, England, spied a large spider in her home, the arachnophobic criminology student immediately turned to delivery service Deliveroo to order KFC and a hero. The Daily Dot reports that the service “suggested that she take her request to the ‘delivery note’ section of the app, with the contingency that the driver might be even more afraid of spiders than she is.” Fortunately for Sweeney, delivery person Joe was game to become a spider killer, rescuing her from her predicament. Many on Twitter are praising Demi for her innovative idea. I for one will definitely keep it in mind if a cockroach ever darkens my doorstep again [shudder].